Not sure why I pulled these tracks from the Discos Fuentes label. Four really solid songs, but from a couple of different approaches to the early cumbia genre. The first three are from much more obscure groups/combos and are a good reflection of the traditional cumbia ensemble of the era. Whereas, the more popular/well-known Sonora Cordobesa had success in updating the cumbia genre with its much larger sound. Since most of these 45’s are Mexican reissues, I’m not sure what the exact dates are of the music. Nevertheless, I tried to order them from the more minimal country/folk ensemble to the larger big band approach in the song Lumumba – which can be an indication of some time frame. On a side/historical note, the overall music presented here isn’t as divergent as you’d think. 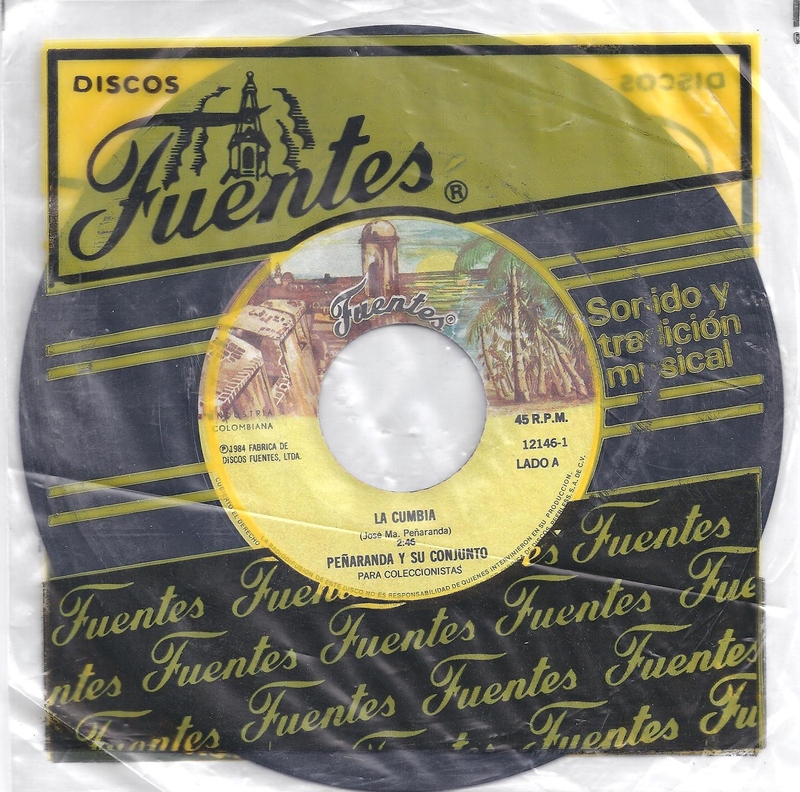 By the 50’s Discos Fuentes did everything from in-house recording, pressing, and distribution. The result being a distinct style and sound that can often sound the same after a while. It has been said that Discos Fuentes was the Motown of Colombia. 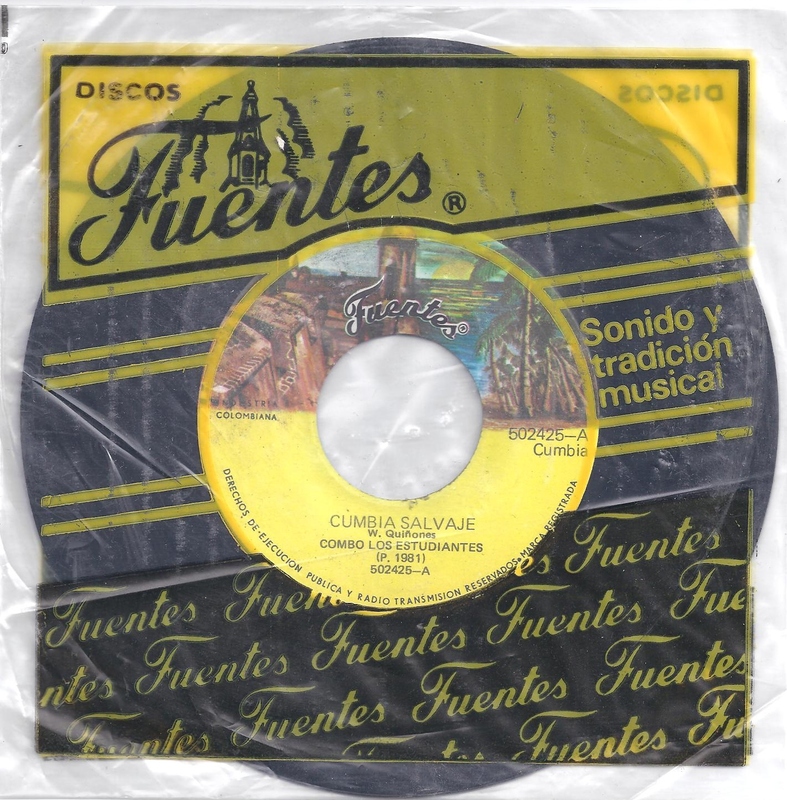 It wasn’t until the 60’s when labels like Sonolux and Tropical (which Fuentes later bought) began to offer up different identities to the cumbia genre. Please enjoy!! !